Convertize is a new tool that gives you access to the proven marketing tactics used by Amazon, Dropbox and other leading eCommerce and Saas websites. "Finally an optimisation solution that guides you what to do based on your specific context"
It's good to see a fresh approach to optimisation. - Scenario is packed with more than 200 very concrete persuasion principles and neuromarketing tactics based on scientific research and previous testing. Based on your specific context, the solution will suggest optimisation approaches most likely to achieve the best possible results for you. The solution is very intuitive and guides you based on some key questions you are asked in the beginning (about some data required for optimisation) and/or the data (analysed by Scenario) from your Google Analytics (Scenario connects seamlessly with Analytics) through the entire optimisation process. - The visual editor is excellent. - Except for placing one line of code on your website, you can do everything without a web developer or IT support. If you achieve this on a regular basis, talk to me and I will have business for you :). - What I also like is that even if you do not have enough traffic for statistically relevant testing, you still can optimise your site. - Most other testing solutions offer more features, but ... do you really need them? Except for very large corporate accounts which are probably looking into solutions as Optimizely, Scenario offers all the essentials for website optimisation you need. - There are currently still some minor glitches (as the solution is quite new), but they are very reactive and have implemented already a lot of fixes. then Scenario is most probably the right solution for you. I'm a marketer with no IT knowledge. I have optimised blogs, travel sites, e-commerce sites and lead generation sites for higher conversions using the principles in Scenario. Without having to write a line of code :). "Recommended tool for starter businesss"
Convertize is easy to use, everything is clear there even if you're not experienced in marketing and using tools - You can find lots of tips which can make your bussines growing faster than before - Even free package gives me exactly what I need. Most other testing solutions offer more features, but ... do you really need them? Except for very large corporate accounts which are probably looking into solutions as Optimizely, Scenario offers all the essentials for AB testing you need. What Conversion Rate Optimization solution do you use? Convertful is a SaaS toolkit to acquire subscribers and leads using smart behavior-based sign-up forms. It helps you to create subscription forms in minutes using convenient drag and drop builder. QuickSprout provides inputs for changes in websites to increase website traffic. Crowdio is a conversion tool for your website. We offer a 24/7 staffed chat with real people that will significantly boost your conversion. Convify offers an amazing and a unique blend of powerful and simple way to increase your sales without jumping through hoops. Evosite is an eCommerce agency offering conversion rate optimization business systems integration, and web design services for e-tailers. Backtocart is an AI-enabled tool that enables you to take conversion rate optimization to an unprecedented level. User-reactive lightboxes appear at the optimal moment in time and inspire your audience to take action. ZoomLean is the all-in-one web enhancement suite. This platform features includes Email campaigning, Ad Retargeting, Content Discovery, Live Chat and Support Tools, Site Analytics & much more. KyLeads gives business owners the tools to create viral quizzes and beautiful popups to increase website conversion rates. With insights from the quizzes, theyâ€™re able to send better emails. * We monitor all Convertize reviews to prevent fraudulent reviews and keep review quality high. We do not post reviews by company employees or direct competitors. Validated reviews require the user to submit a screenshot of the product containing their user ID, in order to verify a user is an actual user of the product. Hi there! 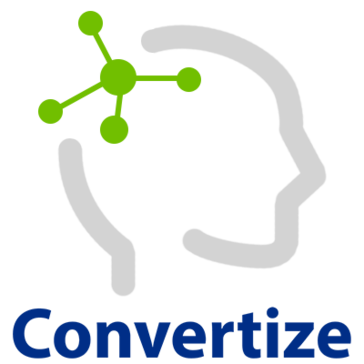 Are you looking to implement a solution like Convertize?